I played 2 player Room 1 today in Shadow Cavern. It was a pretty sad battle until the end. I picked Einar,Aquilla,Jandar,and Ullar. My own story was that Vydar refused to help for unknown reasons. Syvarris took out 3 Blade Gruts and Tornak in the first go. The wolves tried to kill Syvarris with Pounce,but all failed. They almost won by giving 3 wounds total to Syvarris. Marcu fell to Crixus in the fourth round. The last Blade Grut fell to Syvarris. At the end when Shurrak finally started moving in,Crixus blocked him,but was knocked back after defending himself from Shurrak's attack. But Sir Denrick went up against Shurrak with pride. After a heated battle with attack rolls failing left and right,Sir Denrick finally brought Shurrak down and keeping his title the Giant Slayer. Migol: Really guys.......I didn't get one kill. Syvarris: Come now Migol you had to have gotten one. I got eight kills,but I can't help,but wonder why wolves were here. Migol: Yeah,a bug on the floor that got in my way. Crixus: If it wasn't for my Syvarris,you would be dead because Shurrak would have slammed you up aginst that rock. Denrick: *spits* I was the one who killed the giant. That had to count for at least ten! Last edited by iceman3317; September 2nd, 2012 at 02:40 PM. Gary, I converted the Shadow Cavern maps to Virtualscape and noticed a couple things. 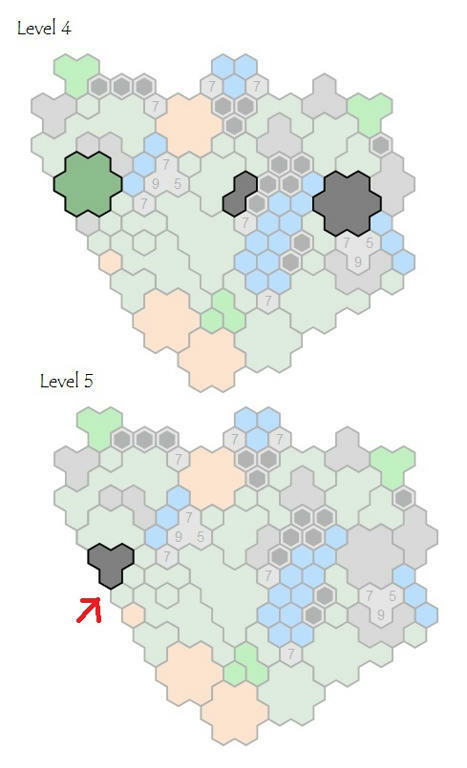 First, you're missing a piece from Level 2 of Shadow Cavern Room 4 (Goblin Hill) and a 3-Hex is also slightly askew on that level and map. Second, on Level 5 of Shadow Cavern Room 1, you have a slightly misplaced 3-hex. And finally, using Version 22.0.1229.94 m of Chrome, after once viewing a map, any second map viewed will be displayed in greyscale. Refreshing the page will cause it to display correctly. Did you compare these differences with adjustments I mentioned in this post? There are some errors in the released PDF. Last edited by GaryLASQ; October 16th, 2012 at 08:50 PM. Firefox functionality is perfect, though I can reproduce the Chrome error on a couple machines. I can reproduce the error on Safari using an ipad. Last edited by Shedim Kabal; October 21st, 2012 at 12:51 PM. Thanks Shedim for the screen captures. Made fixing the errors simple. Plus something else that doesn't sound right ... the progressive scenarios have Player 1 drafting from Utgar only, and not from Utgar, Valkrill, and Vydar until the Exit scenario, to go with the story. However, in the Campaign rules, it makes it sound like Player 1 starts out right away with having the choice to draft from all three, which I believe is incorrect. I agree with your interpretation for Vydar coming in at the end, but I'm trying understand where Valkrill's forces would come in. It would seem to make sense, story-wise, that Valkrill's figures would be eligible starting in Room 3, or maybe after Room 3. What does the community think? I want to update my Official Maps & Scenarios PDF to include Shadow Cavern, but I want to get the pictures of each room and the whole Dungeon Adventure in it. 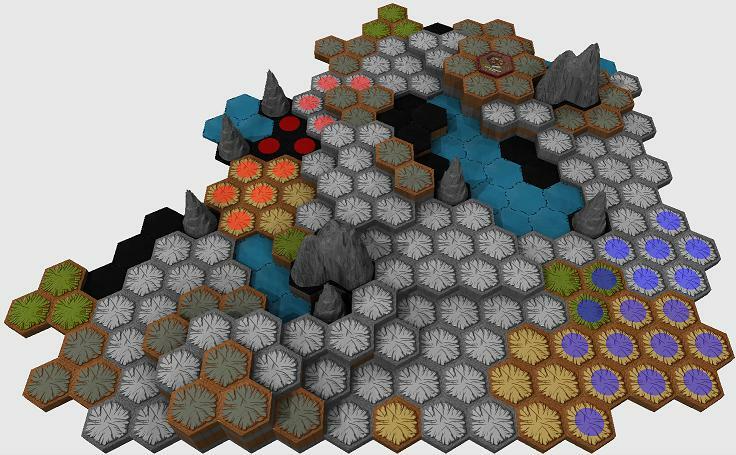 Can anyone make a VirtualScape version of the map(s) and post images of a 3D view of it (and maybe the VS file too)? I see UtahScott posted a live version of the map, so I might use that, but I would also like a 3D VS printout. If you do make it, pay attention to GaryLASQ's comments on some discrepancies on the build instructions. I actually have all the VS files for the Shadow Cavern. Send me your email addy and I'll email them to you. Updated the Official Maps & Scenarios to include Dungeon Adventure 3 with pics sent from Shedim Kabal. Also, I just realized I still need Dungeon Adventure 2 pics - anyone have them?. Download or view on Google Docs. (21.45 MB). Also uploaded VirtualScape and PDF build files and images to download section. Credit goes to theGuru for creating the scenario, GaryLASQ for creating digital map build, Shedim Kabal for creating vitualscape files with PDFs and images and sending to me (all I did, as usual, was compile everything). Last edited by lefton4ya; April 17th, 2013 at 06:09 PM.